The 2019 Volkswagen Passat can be customized for your drive through Slidell with a wide variety of accessories. Looking to give your new Passat a makeover? There are plenty of stylish add-ons to choose from! Want to protect the exterior of your sedan? You’ll find options for that, too. Our parts team can pair you with the right accessory while our service team can perform a professional installation. Learn more about the Volkswagen Passat accessories below! From protection to convenience to style, the accessories for the new VW Passat serve all sorts of purposes. Are Exterior Passat Accessories Available? They are! In addition to the accessories listed above, such as license plate frames and rain guards, you can find chrome trims, customized hoods, wind deflectors, and car covers to protect your Passat from rain, snow, and more. Contact our parts department to learn more about your options! Want to refresh the look and feel of your Passat? The options are seemingly endless. You can find accessory options like brand-new dashboard covers, pedals, seats, gauges, shift knobs, steering wheel covers, and much, much more. With so many available add-ons, it’s all too easy to turn a great car into your car. Shop New Volkswagen Passat Accessories in Mandeville! 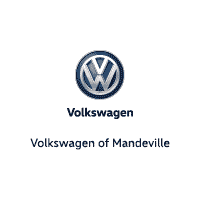 Volkswagen of Mandeville is a trusted source for Volkswagen Passat accessories, as well as genuine parts and certified service. Browse our current parts specials or contact our service center to learn more about accessory installation. If you’re shopping for a new Volkswagen Passat for sale, take the opportunity to schedule a test drive near Hammond and Baton Rouge! 0 comment(s) so far on What Are Some 2019 Volkswagen Passat Accessories?